What a generous and amazing bunch our NZHM members are! 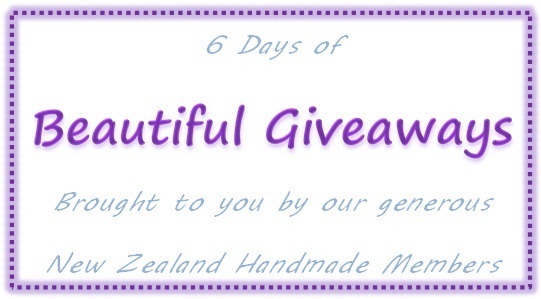 As a ‘Celebration of Handmade’ to thank our wonderful followers and acknowledge the importance of non-mass produced items made with heart, soul and integrity, we are offering a whole 6 days of giveaways featuring 20 beautifully handcrafted items from New Zealand Handmade members. Just to repeat that’s 20 items being gifted to 20 lucky winners, worldwide! Leave a comment on the blog post advising the item you wish to win (note: you can enter for all three or just one of the items). You can also get extra entries for Tweeting or Facebooking about the giveaways – just come back and leave a comment to let us know each time you do it. 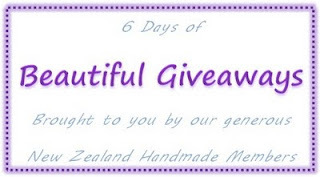 The 3 x daily winners will be selected at 10am NZ time of the following day (ie each giveaway will last for 24 hours) via random.org and will be notified via email. This is an amazing opportunity that may never be repeated again in such a grand scale – so mark the dates in your calendar (you will note it’s nicely timed close to Mother’s Day too in case you want to win something for a mother you know and love! ), and get ready to ENTER to WIN. That's a wonderful offer. I would love to win something from Ginger Pye - I've been hankering after their product for a wee while. I'd love to win some Ginger Pye, love their products!